As the cost of campaigns continues to rise, the dominant sources of political funding narrow. Just 158 families have provided nearly half the early funding for the 2016 presidential campaigns. Public cynicism nears record highs; a recent Pew survey found 74 percent of Americans say most government officials put their own interests ahead of the country’s; and only 19 percent say they trust the government all or most of the time. This cynicism about government results in large part from an electoral system tilted toward the rich. It actually began 40 years ago last month with Buckley v. Valeo, a Supreme Court decision called the “original sin” of our broken campaign finance system, which established the principle that money is speech. Buckley ultimately led to Citizens United; now we’re witnessing how it has radically changed the funding of modern campaigns. 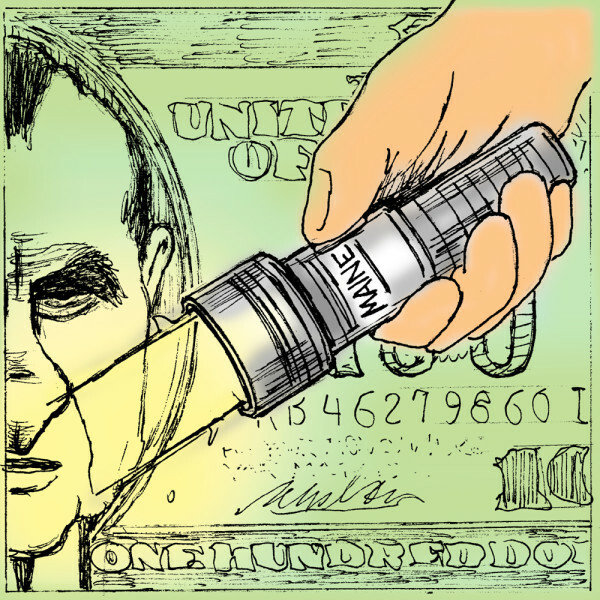 Watergate triggered a package of reforms that limited campaign spending by candidates and outside groups, limited individual contribution amounts to parties and candidates, established public funding for presidential campaigns and created the Federal Election Commission. These reforms were immediately challenged and, although upheld by the lower courts, largely thrown out by the Supreme Court in Buckley. The Buckley plaintiffs argued that placing limits on political spending infringes on freedom of speech. The court, in rejecting that argument, essentially established the principle that my right to say whatever I want extends to my right to speak so loudly that no one else can be heard. Forty years later, we see the consequences of Buckley playing out. It set off a series of misguided Supreme Court decisions resulting in a flood of unlimited money flowing into our elections and an unfair playing field tilted in favor of wealthy candidates, special interests and corporations at the expense of everyday people. Because of the effects of Buckley, public trust in government is at historic lows, fewer voters participate, and a wealthy minority of Americans bankroll presidential campaigns. How do we stem the tide? Obama must nominate a justice to the Supreme Court who pledges to overturn not only Citizens United but also decisions dating back to Buckley v. Valeo. Voters must urge the next president to appoint justices who make the same pledge. We must also push forward on public financing and disclosure. Last November, Maine voters decisively passed Question 1 and reaffirmed our commitment to public financing by strengthening Maine’s Clean Election law and ensuring political ads in Maine list their top three donors. We must now ensure the Clean Elections Initiative is fully funded and implemented. We must support efforts underway across the country that raise the power of small donors and shine light on secret money contributions. We will continue to debate the best means of guaranteeing free speech, equality and representation in our democracy. The Supreme Court does not make its choices in a vacuum. It takes a movement, and once again, Maine led with our successful effort in November; an effort that truly was of, by and for all people. Jamie Kilbreth is a member of the board of directors for Maine Citizens for Clean Elections and lives in Portland. Kilbreth worked on the Supreme Court Buckley case as a student law clerk at the firm representing the parties seeking to uphold post-Watergate campaign finance reforms.